China’s weather body had reissued a blue alert on Saturday for torrential rain that will hit parts of central and south China in the next twenty four hours. 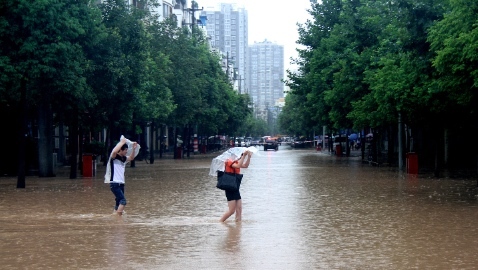 These include Chongqing, Shaanxi, Hubei, Henan, Shandong, Anhui and Jiangsu provinces with precipitation in some areas up to 120 mm, said a weather forecast. The center uses a four-tier color-coded warning system, with red being the most severe, followed by orange, yellow and blue.